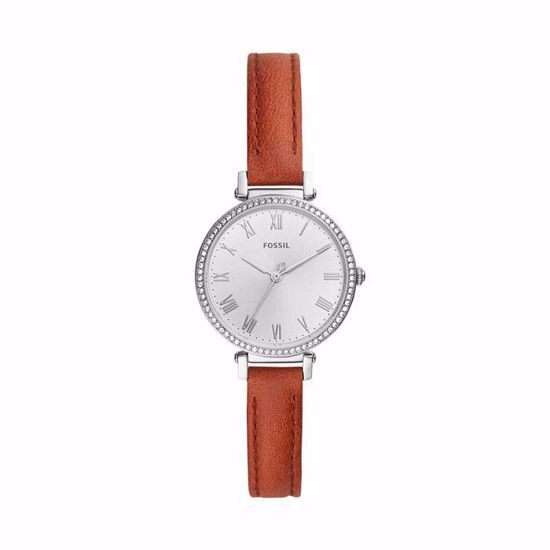 Kinsey Three-Hand Brown Leather Watch . 50 m. 28 mm. This 28mm Kinsey features a silver satin dial with Roman numerals, three-hand movement and a brown leather strap.